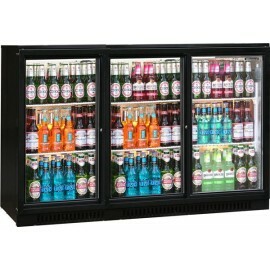 Finished in stainless steel this triple door bottle cooler has heavy duty shelving, LED lighting and.. 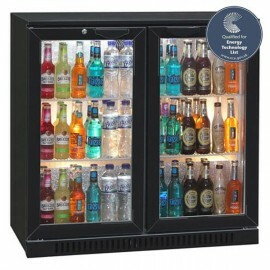 The Blizzard BAR3SL 3 Door Back Bar Fridge is finished in black with self closing double glazed door.. 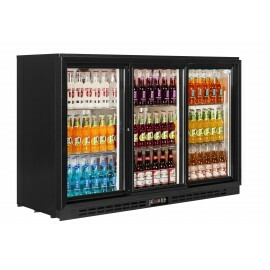 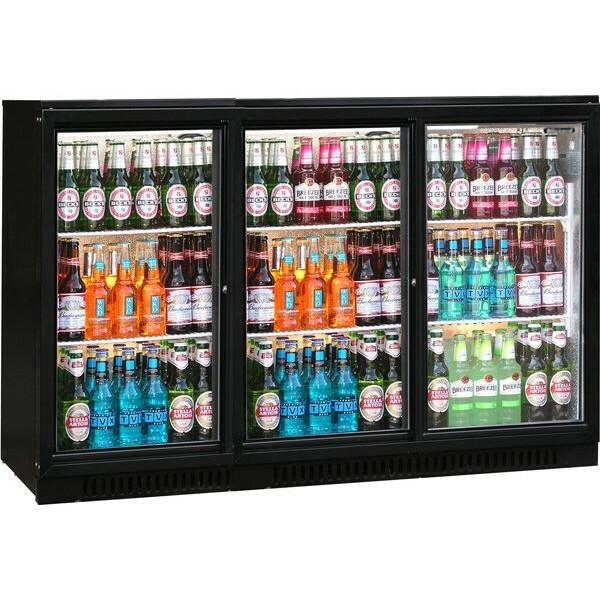 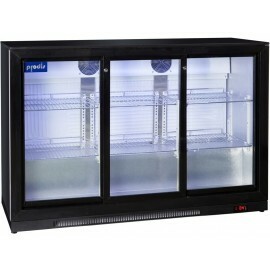 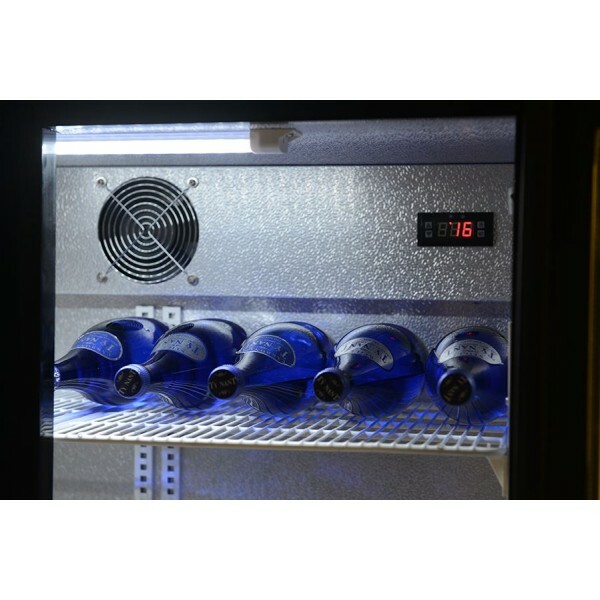 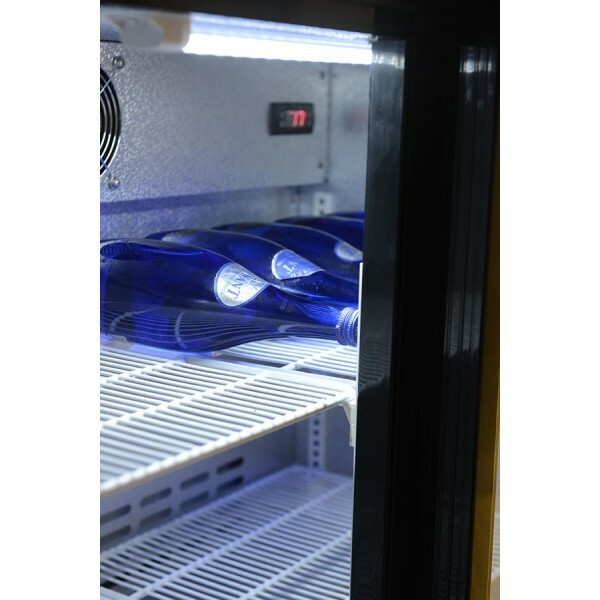 The Interlevin PD30s Back Bar Bottle Cooler has a triple door layout which can be perfect for undern.. 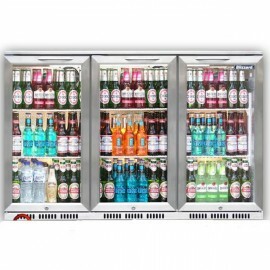 Product Information External Dimensions: H 900 x W 1335 x D 510mm Standard Delivery: 3-5 Wor..